Cocoa is the common name for a powder derived from the fruit seeds of the cacao tree. The Spanish called cocoa “the food of the gods” when they found it in South America 500 years ago. Today, it remains a valued commodity. The processing of the cacao seeds, also known as cocoa beans, begins when the harvested fruit is fermented or cured into a pulpy state for three to nine days. The cocoa beans are then dried in the sun and cleaned in special machines before they are roasted to bring out the chocolate flavor. After roasting, they are put into a crushing machine and ground into cocoa powder. Cocoa has a high food value because it contains as much as 20 percent protein, 40 percent carbohydrate, and 40 percent fat. It is also mildly stimulating because of the presence of theobromine, an alkaloid that is closely related to caffeine. Roughly two-thirds of cocoa bean production is used to make chocolate and one-third to make cocoa powder. Four major West African cocoa producers, the Ivory Coast, Ghana, Nigeria and Cameroon, together account for about two-thirds of world cocoa production. Outside of West Africa, the major producers of cocoa are Indonesia, Brazil, Malaysia, Ecuador, and the Dominican Republic. Cocoa producers like Ghana and Indonesia have been making efforts to increase cocoa production while producers like Malaysia have been switching to other crops. Ghana has had an ongoing problem with black pod disease and with smuggling of the crop into neighboring Ivory Coast. Brazil was once one of the largest producers of cocoa but has had problems with witches’ broom disease. In West Africa, the main crop harvest starts in the September-October period and can be extended into the January-March period. Cocoa trees reach maturity in 5-6 years but can live to be 50 years old or more. During the course of a growing season, the cocoa tree will produce thousands of flowers but only a few will develop into cocoa pods. The Cocoa futures contract is the world benchmark for the global cocoa market. The futures contract trades at the Intercontinental Exchange (ICE), after it acquired the New York Board of Trade (NYBOT) in 2007. The futures contract trades electronically from 4:45 AM ET to 1.30 PM ET, Monday through Friday. One futures contract is 10 metric tons. 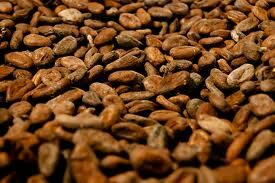 The last traded price (October 10, 2012) for December 2012 Cocoa futures was 2372 or $23,720 per contract. The most common contract symbol is CC. One futures contract minimum price movement is $1 per metric ton. A “tick” is $10 per contract. The next price after 2372 downward is 2371, followed by 2370. Therefore, a price move from 2372 to 2272 is $1,000. The performance bond or initial margin requirement to initiate one futures contract position is $990 (as of November 11, 2015). To control that futures position going forward the maintenance margin becomes $900 (as of November 11, 2015). There is no Daily Price Limit. The futures contract month listings are March (H), May (K), July (N), September (U), and December (Z). Cocoa contracts are physically delivered. The futures contract’s Last Trading Day (LTD) is one business day prior to the last notice day. The Last Notice Day is ten business days prior to the last business day of the delivery month. The December 2012 Cocoa futures contract LTD is December 13, 2012 for example. The futures contract’s First Notice Day (FND) is ten business days prior to the first day of the delivery month. The December 2012 Cocoa futures contract FND is November 16, 2012 for example. Be aware as this particular market opens early in the AM in the United States. In addition, there can be potentially large trading ranges without a daily price limit.